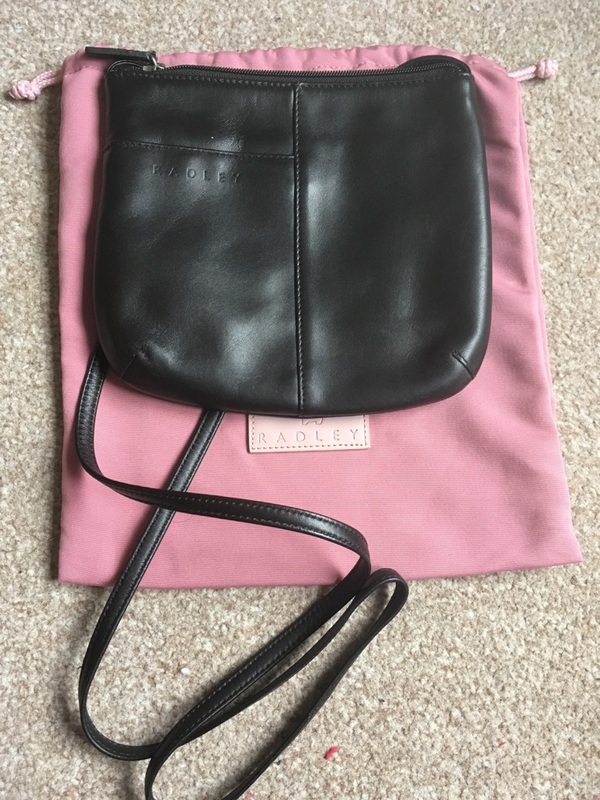 Radley leather cross body/shoulder bag. 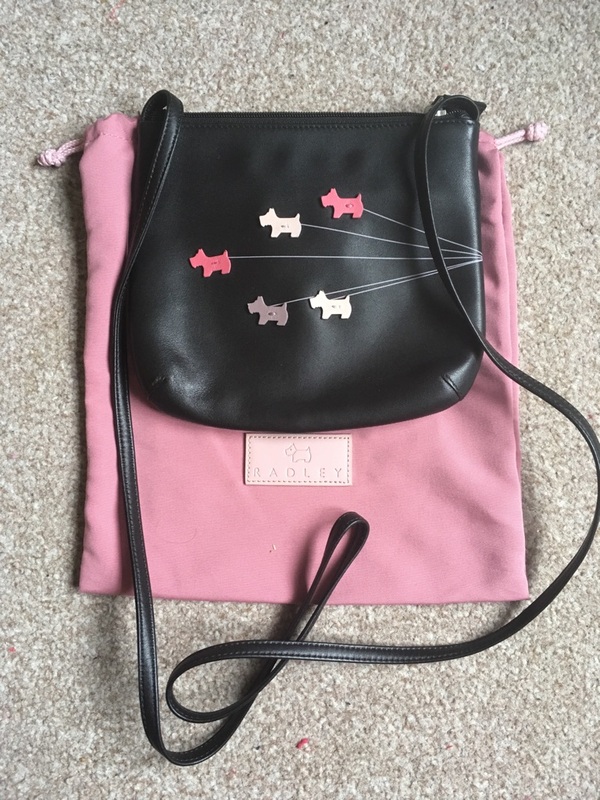 Front pattern has 5 pink dogs. There is a pocket on the rear and 2 pockets inside. It is used but has been kept in very good condition and has no marks and comes with the dust bag.